I'm trying to get more fit, being active, and making exercise a part of my life. While I'm not pregnant, I have been four times, and I know many blog readers here either are pregnant or plan on getting pregnant. Staying active during pregnancy has many benefits to you and to your baby. And there are plenty of fantastic ways of staying fit and active from the moment of conception to birth and beyond. This post from HARTMANN Direct explores five popular pregnant exercises and activities. From helping your body cope with the stresses and strains of pregnancy, labour and birth to your own emotional well-being, staying active during pregnancy is essential. Many of us understand the importance of being active and fit – and pregnancy is no reason to stop and lie on the couch for nine months! But you need to take care and so it pays to take sensible precautions before you start exercising when pregnant. If you currently exercise, continue with it for as long as you feel comfortable but make allowances that at times you will be tired. Additionally note that pregnancy makes your ligaments looser and therefore more prone to injury and dislocation, so be extra careful. Yoga is a fantastic form of exercise whether you are pregnant or not. A series of poses and stretches that are held for lengths of time help to muscles to remain toned, but strong and flexible. There is research to suggest that as an exercise for pregnant and new mums, yoga is one of the best. But, as with all forms of exercise, you might need to make some changes to how you do it. This is where pregnancy yoga comes in. Designed for stretching and toning during and after pregnancy, it ensures that important muscles are stretched and toned, without placing undue stress on your bump, back or pelvic floor. Many pregnant women find it a great help during labour too, especially controlling the breathing. Search for a class tutored by a yoga instructor specialising in pregnancy yoga. As your bump grows, your skeleton is placed under increasing stress from the weight. The small of your back can really start to groan and ache. Impossible to get comfortable, the thought of exercising might be the furthest thing from your mind. Investing in a maternity swimsuit and spending an hour two or three times a week at your local swimming pool (or beach if you live near the sea) is the ideal way of getting your joints and muscles moving, but having the water support the weight of your bump. It’s hard to overdo it with swimming but rather than powering up and down the pool, leisurely but continuous swimming is the order of the day. A brisk walk is a great way to get blood flowing, as well as increasing the heart rate, essential for maintaining your cardio fitness. You will find this helpful during the hard work of labour too. As well as gentle stroll enjoying the sunshine, build in short periods when you walk faster, becoming slightly out of breath. Allow yourself to stroll gently to recover and then repeat. Many women stop running as soon as they discover they are pregnant, assuming that the impact of movement won’t be good for the growing baby. But there is no evidence to support this. If you feel comfortable, continue running for as long as you want or take a break and get back to it once the baby is born. Many women work out in the comfort of their own homes and most doctors and midwives agree that providing you don’t push yourself, then this is a great way of staying active. 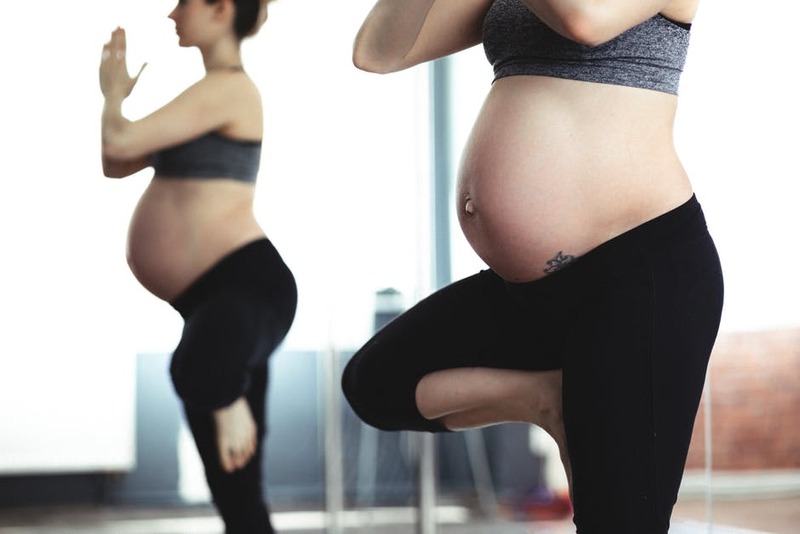 Some pregnant women feel that as their bump grows and they become less agile in their movement, that exercising at home is the better option. There are all kinds of helpful DVDs and online resources for performing stretches and activities that are safe for to do in pregnancy – and beyond too. The importance of staying active during pregnancy is not to be underestimated. It is not just about your own and your baby’s physical well-being, but your emotional well-being too. Exercise is known to release endorphins, the hormone that helps us to stay relaxed, something that a pregnant or new mum needs at this important point in her life. But you need to make sure you don’t overdo it so why not read these '13 Rule of Safe Pregnancy Exercise' before you start? For many pregnant women and new mums, incontinence products are essential in the short term. Fortunately HARTMANN Direct have a range of high quality, superabsorbent products perfect for use during and after pregnancy.